Lovely apartment in a spectacular location. The best thing, though, was the hospitality of the owner, Mrs. Fotini, who was lovely to our young daughter, made us coffee in her own unit, and took care of everything to make our stay enjoyable. The hosts were great, such a pleasant hospitality, made us feel like home. We definitively suggest the property! Great view, clean, paradise on earth! Everything was great, the hosts are very warm and helpful.....beach overlooking the property is gorgeous. Highly recommend to everyone. The hosts were amazing and went out of their way for you whenever they could. Also the view from the balcony was unbeatable. If you want to get away from everything, this is the perfect place. Nice room, clean, airy, a/c, nice colours, well kept, very nice balcony, coverded, wonderful sea view. 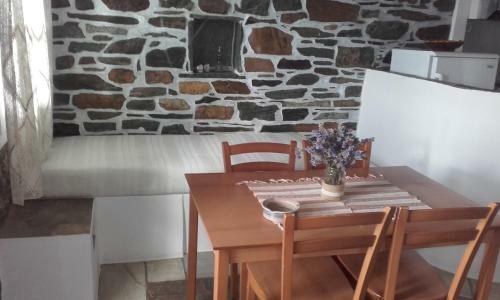 The place in in a quiet area in a small hill front of the sea. Rocky seaside, beaches only 100 mt far. Bus stop near the beach. The lady speaks greek and is a very kind person. There's even a small restaurant onsite. A window to the Egeo sea. Artemis and her mother (the owners) are really kind and gentle. The best apartment we have visited in Tinos. 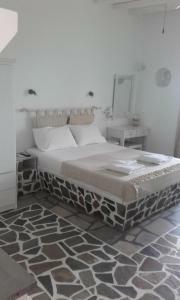 I liked the decoration and the interior design of the rooms + the stunning view on the Aegean sea. 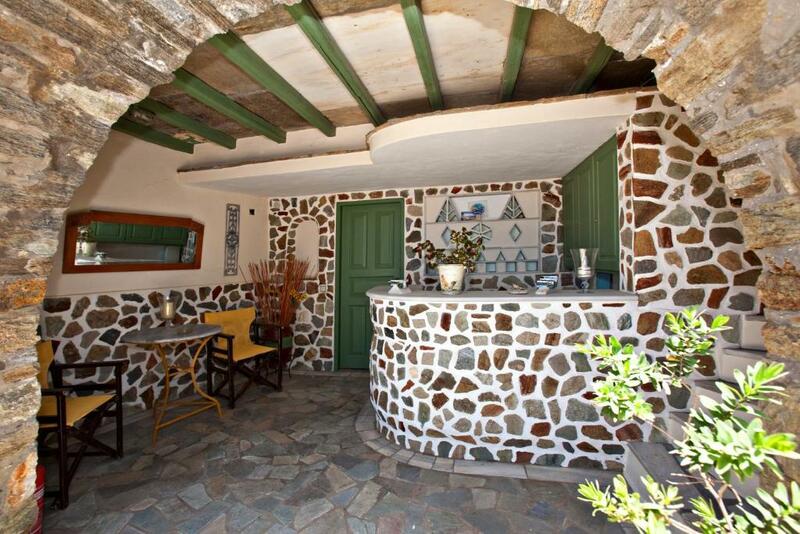 If you want to visit Tinos island, "Artemis Apartments" is the best place to stay!!! SUPER CLEAN!!! Beautiful place, close to beach, nice lady running the place. Felt more like genuine Greece and not many tourists. 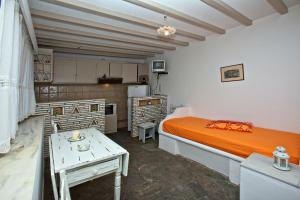 Lock in a great price for Artemis Apartments – rated 9.4 by recent guests! 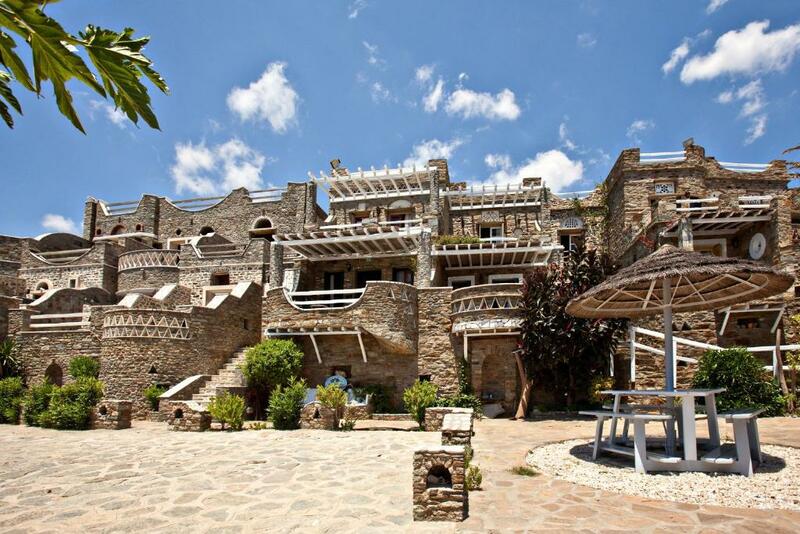 Artemis Apartments is a self-catering accommodations located in Agios Sostis Village. 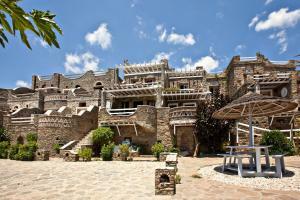 It offers Aegean Sea Views from its patio, while free WiFi access is available in public areas. Agios Fokas Beach is 0.9 mi away. The apartments at Artemis will provide you with a TV and air conditioning. There also a kitchenette with a refrigerator and cooking hobs, and a private bathroom with a shower and hairdryer. 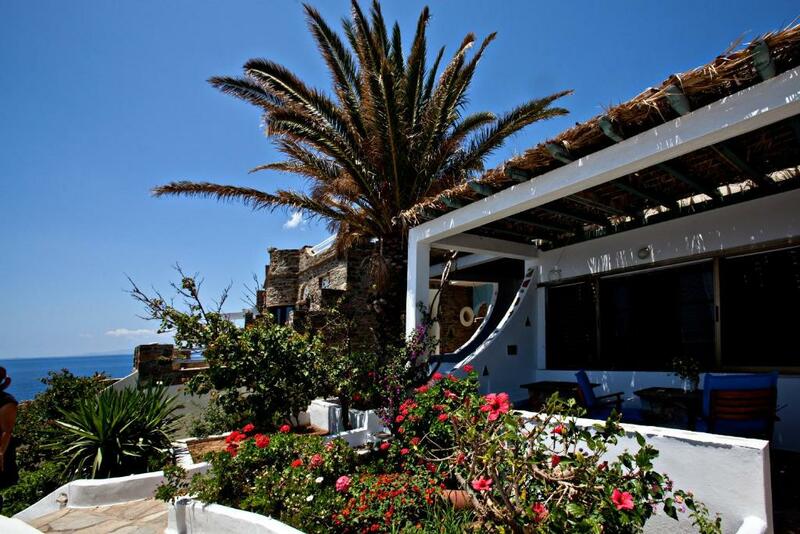 If you feel like visiting the surroundings, check out Pachia Ammos Beach within a distance of 1.2 mi. Free private parking is possible on site. The wifi didn’t work at all and there was very limited reception, which I wish we’d known before booking as we stayed for 6 days and felt a bit isolated. There is no civilisation near by on foot so definitely recommend renting a car. 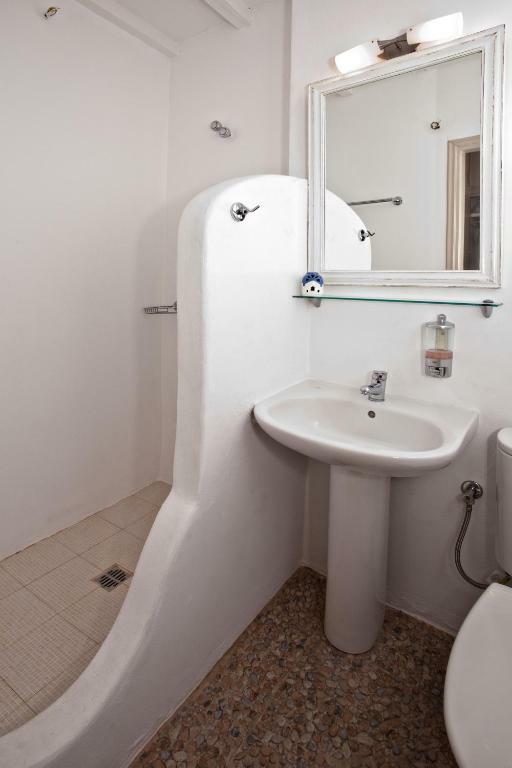 My only quibble is with the bathroom, which was tiny (ok), and did not have a shower curtain (not OK). The staff did not know any English. Only AC in one of the rooms so the other one became hot. No supermarket nearby. 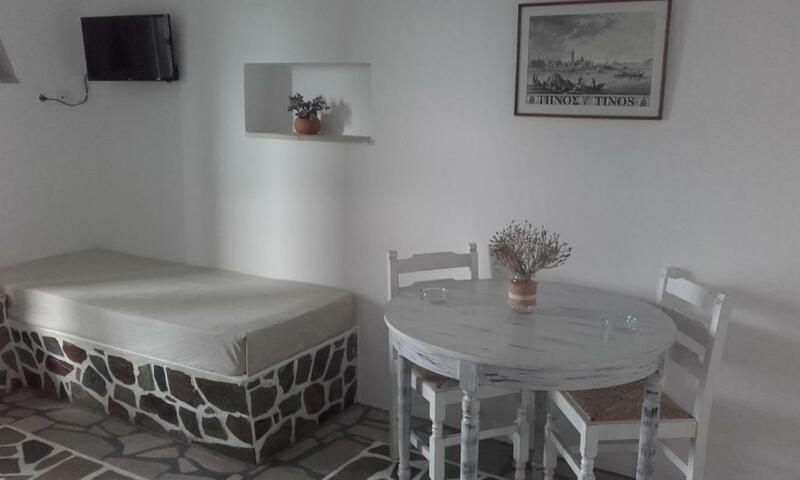 It's absolutely possible to stay here without your own transport (there's a bus to Tinos town every second hour), but I would recommend to bring your own/rent a car or scooter. Lovely combination of traditional and modern design. 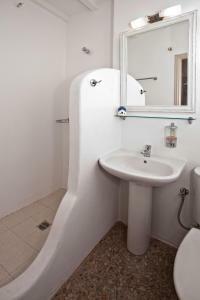 Very thoughtfully planned and furnished apartments. Comfy bed, nice bathroom, lovely balcony with seaview. Very clean. Good aircon and fan. Unbelievably friendly owners who make you feel at home (in a somewhat limited English, but French works very well). Nice and quiet location right by the sea. I took a morning swim every morning from the cliffs right below the hotel.